I had another chance recently to meet Serge and Marc Hochar, the father and son team that runs Chateau Musar high up in the Bekaa Valley in Lebanon, this time tasting their whites. Anyone who has spoken with Serge would agree that he is a charismatic gentleman. He has been making Chateau Musar since 1959, and although his son recently took over day-to-day operations, Serge still retains responsibility for overall direction in winemaking and continues to present the wines around the world, a role that he clearly enjoys. Serge is a competent winemaker, but forget about asking him any technical details—I tried and failed. He prefers to talk about philosophy, and likens wine with the brain: we all have different ways of thinking and sensing, and so does wine. Every wine evolves differently. His 180ha vineyard is organic and the wine is made with minimal human interference and sulphur. Serge believes wines make themselves. We tasted his white, the 1999 and the 1989. It is a blend of Chardonnay and Viognier, pale brown in colour. The 1999 had an intense marmite savouriness with a round mouthfeel and lingering length, while the ten years older 1989 was, surprisingly, much fresher on the palate with still a hint of the floral. Why? I asked. Was it because of the vintage, the winemaking, the ageing? He shrugged and said this is just how it developed. Just like himself: he felt he was younger now than yesterday — 27 years old, apparently. Well, I suppose we can’t be too technical all the time. After all, wine is for the enjoyment, especially with company. Chateau Musar is not everyone’s glass of wine. ‘It is faulty, oxidised, bretty....’, said some, but then it has its loyal followers. Life wouldn’t be fun if every winemaker made the same "McDonald’s" wine. 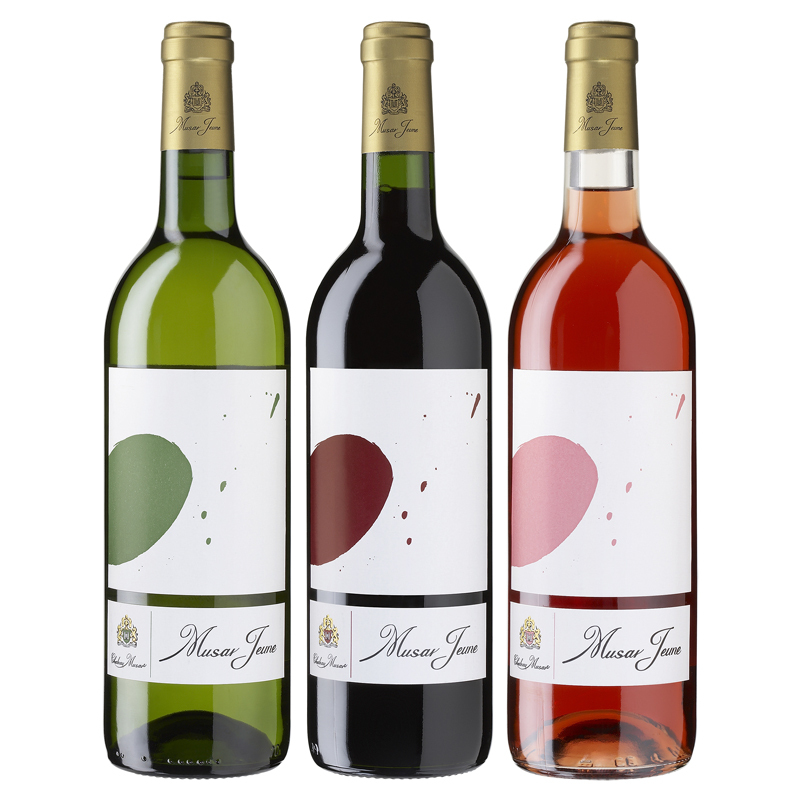 Having said that, his new range, Musar Jeune, first produced in 2007, is unoaked, vibrant and approachable. With its modern label, it appeals to the young consumer who prefers an easy drinking style. It is apparently a big seller in Europe. The white is a blend of Viognier, Vermentino and Chardonnay. It is refreshing yet has a good concentration of fruit. Musar Jeune Red is a blend of Cinsault, Syrah and Cabernet Sauvignon with ripe tannins and a fruity palate. Despite his philosophical approach, Serge is still a businessman, sensing that a new style of wine is needed for today’s consumers. When I left, I was still pondering some of Serge’s words: "My doctor is wine", "My whites are my reds"... Well, let’s have a glass of wine. Jancis Robinson’s latest book, 'Wine Grapes', lists 1,368 varieties. You may also have heard of ‘The Wine Century Club’: to qualify, you must have tasted at least 100 different grape varieties. Most of us would struggle to reach 50, so if you are going to set your mind on joining The Wine Century Club, or even on tasting all the varieties in Jancis’s book, here’s one you should try. Christophe Reynouard, owner of Domaine du Grangeon in Cote du Rhone, proudly presented his hidden secret, the ancient grape Chatus. According to Jancis, Chatus used to be widespread from the Alps to the the Massif Central before the arrival of phylloxera, but it has largely disappeared except in the Ardèche, the western bank of the Rhone. Christophe said that after phylloxera most growers planted the higher yielding Carignan. 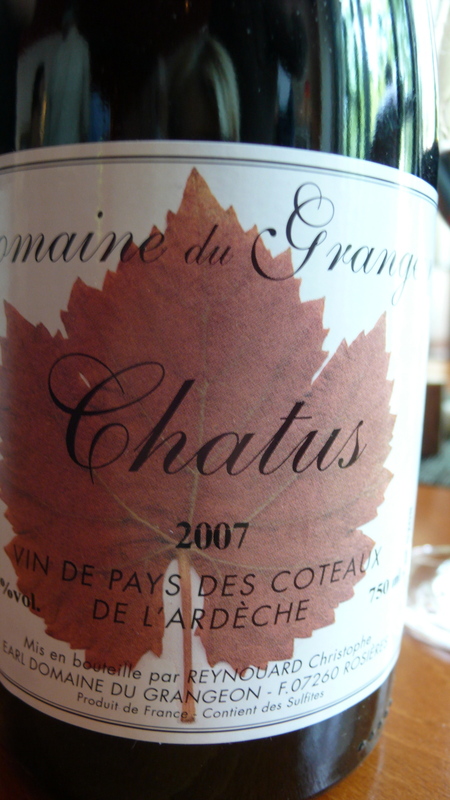 Chatus, on its own rootstock, has only survived in areas where there is no clay, since phylloxera doesn’t like clay. Today, Chatus is being revived, with about 54 ha in the Ardèche shared by some 35 growers. Chatus has small berries and produces wine with a deep colour. The wine's high tannin and acid structure and its aroma profile give it a resemblance to Barolo, which is not a big surprise as DNA profiling has linked Chatus to Nebbiolo. Christophe first started making it in 1998 using carbonic maceration because of the high tannin structure. Now, with better vineyard management and knowledge of the grapes, he makes it with 100% destemmed grapes, three to four weeks skin contact and 23 months ageing in new barrels. The high tannin is supported by the good fruit concentration and firm acidity, and it certainly has ageing potential. Christophe is a prolific winemaker. He makes 15 wines from 17 ha of vineyard planted with some ten varieties. His philosophy? He has only 40 years as a winemaker before he has to hand the cellar key to the next generation. He could just make three wines a year, but he believes that the more he makes the more opportunities he will have to learn from his mistakes. Over a 40 year career he might make 600 wines, a much bigger satisfaction than making only 120. Christophe's Viognier is a very pleasant wine with a chewy palate and an intense aroma of spices, ginger, and honey. No wonder, since he once worked as a cellar master at Georges Vernay, a famous producer in Condrieu. As well as the Chatus, another unusual wine is his Gamay Vin de Paille, made from dried Gamay grapes. A powerful sweet wine of red fruits and chocolate notes, it would make a good dessert on its own. Christophe, rightly, is concerned about climate change. His Gamay is being harvested about seven days earlier now than in 1998 when he took over the domaine from his father. Growers in warm regions everywhere are searching for later-ripening grapes. Chatus, a mid to late ripener with high acidity, could well be the answer for growers in the Rhone. Domaine du Grangeon is available from Cottage Vineyards.